If you've reached this page, please click below to view our current portfolio. We've been serving Florida clients since 2001! Providing you with updated information and staying current is our goal. Web Design With Much More Marketing "Built In." Every website owner should anticipate having to perform search engine optimization tasks once their site is launched. Our website design services offer more optimization during the initial development phase. This ensures that your small businesses will be ready to reach a higher organic ranking. Affordable Web Design - Custom Web Design, Web Updates, Shopping carts or e-commerce website design, PCI compliant shopping cart solutions and hosting as well as website re-designs and updates are all available at an affordable price. Click here to inquire or call (813) 778-9548 for information. (Search Engine Optimization Florida) - No Outsourcing. Affordable SEO services for your Florida business. 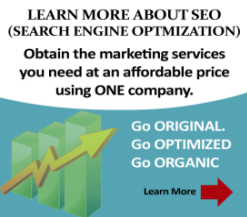 Get long term organic ranking results from our search engine optimization services. Location - Is your business located in Florida? We serve small businesses throughout Florida, but we live and work here in Tampa Bay! 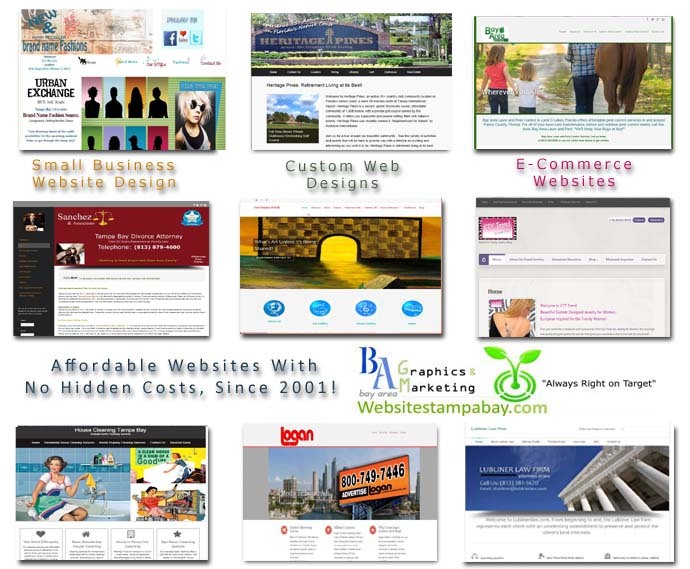 If you prefer a local Florida based website developer and search engine optimization company, you aren't alone. Consumers have realized that although outsourcing may save some money, it isn't worth the aggravation. Additionally, you'll be surprised by our website design and marketing pricing which is affordable for small business.